An exceptional four bedroom detached house located on a plot of approximately 1/4 acre, within the ever sought after Nadder Valley, benefiting from flexible accommodation as well as breath-taking views of the Prestigious Fovant Badges and the surrounding countryside. 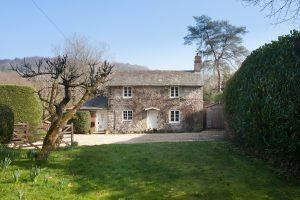 A truly special detached home located in an idyllic setting, offering flexible and beautiful accommodation as well as outstanding south facing views of undulating Dorset countryside. A stunning detached house with superb amounts of accommodation as well as being located within the tranquil hamlet of Limpers Hill. A stunning, newly constructed and bespoke four bedroom detached house located within sought after village of East Knoyle. A charming, detached and extended cottage with original period features, far reaching views of the Wiltshire countryside and located within the sought after hamlet of Chicksgrove. A substantial detached home located within the sought after Nadder Valley Village of Teffont Magna.